Kyle Lowry hailed the performance of Kawhi Leonard as the Toronto Raptors levelled their NBA playoff with the Orlando Magic on Tuesday. Having lost the opening match of their first-round clash, the Raptors bounced back on home territory with a 111-82 win at Scotiabank Arena. Leonard starred for Toronto with a game-high 37 points, while also recording four assists and as many rebounds. The three-time NBA All-Star made 15 of his 22 attempted shots across the four quarters, and Lowry praised his team-mate for helping the Raptors restore parity in game two of seven. "He's really good, he's a talented basketball player," Lowry told reports when asked about Leonard. "He's been aggressive all series and tonight he was just in the groove. "He's a player who knows where he wants to be on the floor and when he gets to those spots he's pretty tough to guard." Magic head coach Steve Clifford was equally impressed, adding: "Leonard was, I mean, great. "What are you going to do? He was great." 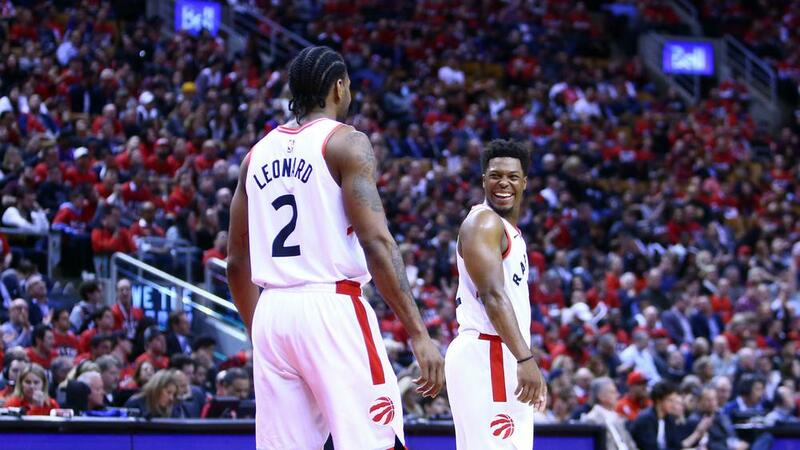 Leonard was not the only one to improve from the 104-101 defeat in game one, with Lowry contributing 22 points, seven assists and four rebounds. "Going back on the film I wasn't as aggressive as I could have been [in Game 1] and tonight was a little bit different, being more aggressive, more assertive, figuring it out," said the guard. "Now we move on to Game 3 and there's going to need to be more adjustments. Both teams will go back, watch the video and see what they can do to get better. "I'll go back, watch the film and see where I can be even better."